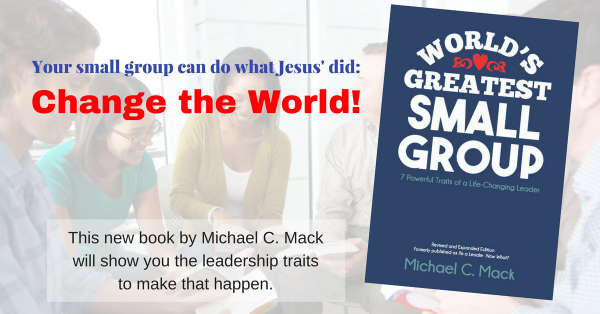 Small Group Leadership TIPS of the past week as Tweeted, posted on the Small Group Leadership Facebook page, and posted on LinkedIn. Wednesday, 12/30: Commit with one another to mutual discipleship. Each person takes responsibility for one another. Friday, 1/1/2016: Set at least 3 God-given, God-sized goals for 2016. Then plan for how you will accomplish them. Follow Mike and Small Group Leadership on Twitter, Facebook, LinkedIn, and other social networks by clicking on the icons in the “Connect with Mike” box in the right column.